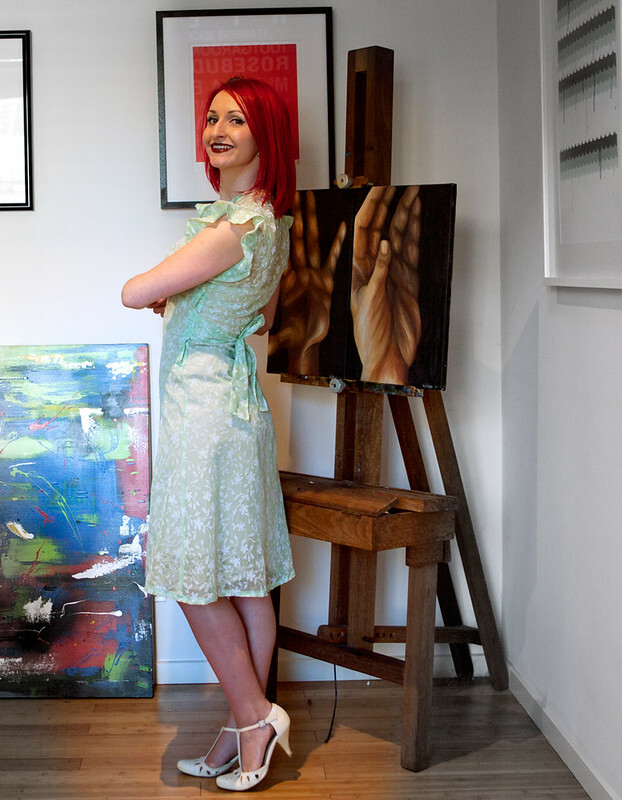 I have a small blog about my sewing and drawing endeavours .....more on this later! 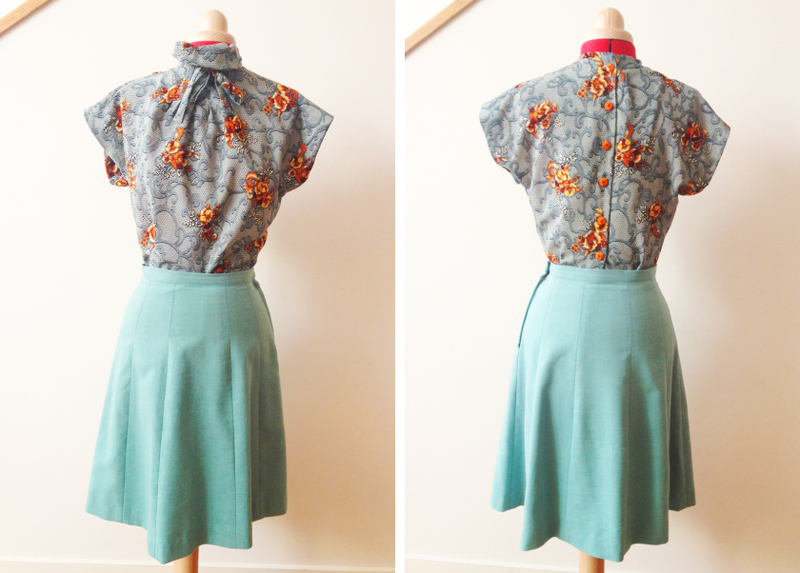 It’s been a while since I’ve been on We Sew Retro – and it’s not that I haven’t been sewing! Here is a a whole bunch of 40’s separates I’ve made in the past couple of months. 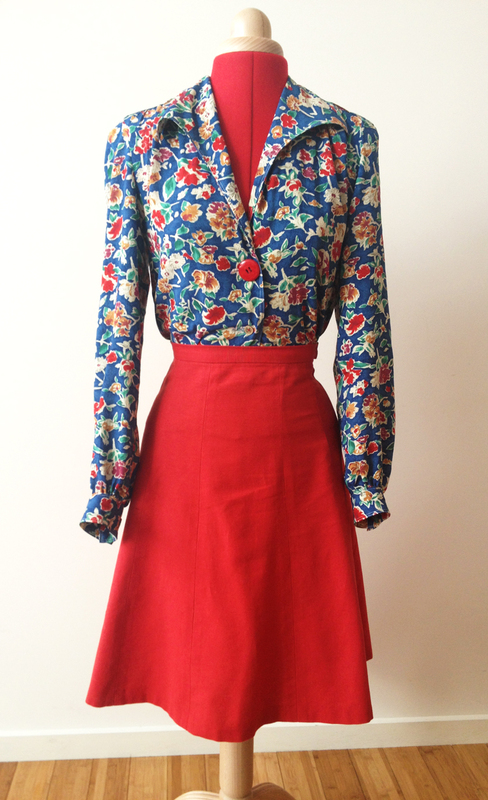 A fantastic 10 gore 40’s skirt and THREE blouses! 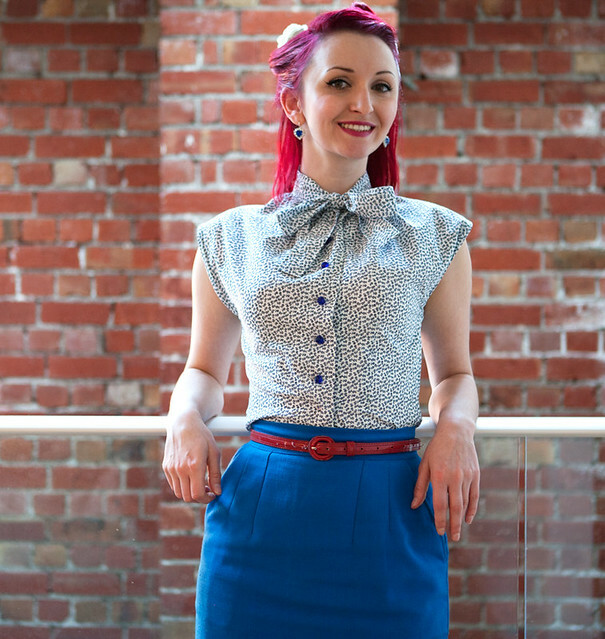 I think the 40’s were one of the most timeless eras of fashion – and I would say universally flattering too. Do you agree? Check out this latest creation – I am SO pleased with it!! Fabric: Awesome tropical print rayon WITH PINEAPPLES from eBay. This isn’t vintage as the selvedge mentions “Hoffman Internation Fabrics 2001”. How COOL is it!? I have another piece which has Plumerias and palm trees on it! I made the A-line version to make something office appropriate. I used what feels like a wool/poly blend that is of medium weight with a nice hand. It’s lined with gray cotton voile and I used satin (probably poly) to make the straps. It helps break up the tiny houndstooth pattern of my main fabric don’t you think? It’s not vintage – but definitely vintage inspired! How to make a belt without turning your fabric! 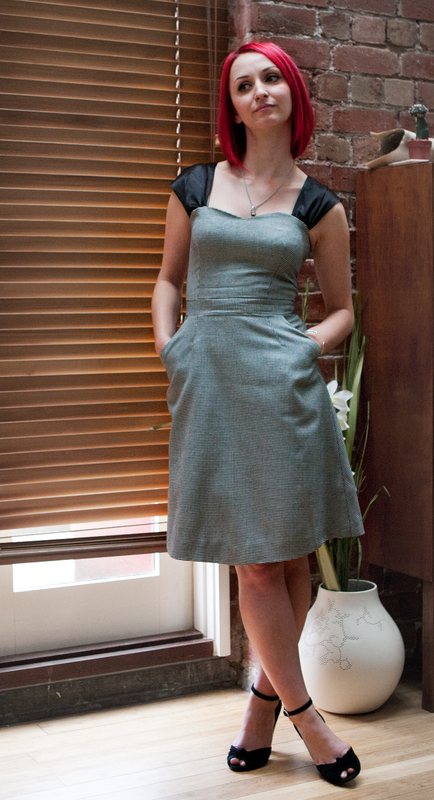 This dress, made from Mccall’s 6006 (1945) has to be my favourite make so far! I am so so in love with 1940’s Mccall’s patterns – they’re just the best. What I love about this one is – the cool cap sleeves…If you could call them that. Maybe flutter sleeves? The tucks at the shoulder and back waist. The gathering on the front waist….The awesome gored skirt.